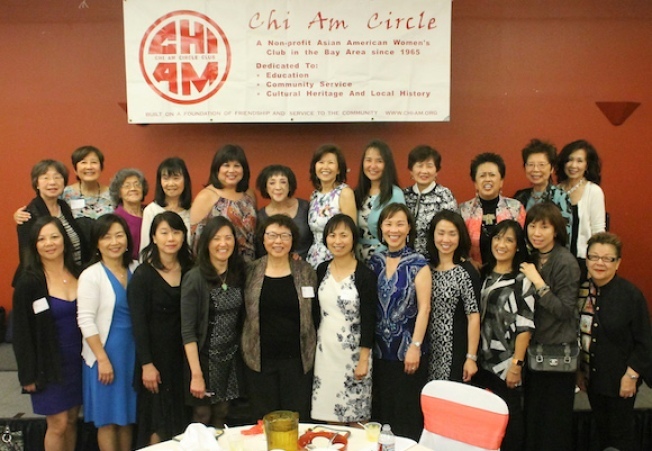 Chi Am Circle, a 52 year old Asian American women's organization based here in the Silicon Valley, will continue its annual tradition of awarding scholarship grants to Asian American high school seniors. Through its fundraising program and generous donations from its 100 members and friends, over $70,000 will be awarded this year to 30 students who have been selected from a field of up to 90 applicants from Santa Clara County. "This year's recipients will be honored at the annual scholarship awards dinner and receive stipends to help them with their future college tuitions because the Chi Am Circle women have always believed in the value of education and encouraging youth to follow their dreams," said co-chairs Gerrye Wong and Marichu Scanlon. "Many of the students have been selected on need as well as merit, and our Selection Committee had a difficult task of choosing the finalists as all applicants were highly qualified." Live auction prizes include a personal tour and tea by Florence Fang of her Flinstone House in Hillsborough, as well as a private six person banquet dinner with Chef Lawrence Chu at his famed Chef Chu's of Los Altos. Outside bids by non-attendees can be submitted by contacting Gerrye Wong: gerryewong@comcast.net. For over 30 years, Chi Am Circle has awarded students stipends in recognition of their academic achievements as well as service to their communities. To reserve your seats, click here.